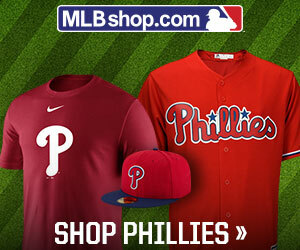 Home›Sports›MLB›National League›Philadelphia Phillies›Philadelphia Phillies: Is Bryce Harper Over or Under Rated? After signing a large deal with the Philadelphia Phillies, phenom Bryce Harper has put a large target on his back. Once he became one of the top five highest paid players in Major League Baseball, he now has added pressure of making sure the Phillies organization spent wisely. The question now becomes, was the deal worth it in the first place? According to a recent survey of anonymous MLB players recently posted in the Athletic, the answer to that is no. Players were asked who the most overrated player in the entire league was, and they came back resounding with, Bryce Harper. In Harper’s career, he has acquired certain accolades that may make him more than eligible for the large payday he received. He is a six-time all-star, home run derby winner, rookie of the year, and was the 2015 NL MVP despite the Nationals not making the World Series that season. Despite these honors he has received there are certain things that earn him the title of being overrated. One being his attitude which creates a lack of hustle in certain situations and an ego that wouldn’t fit inside most Wal-Mart stores. The other being the fact that overall his career batting average is .279, which isn’t bad at all. But specifically looking within the past three years, his production has declined a bit it seems. In 2016 and 2018, Harper hit below .250 with having a career high in strikeouts in 2018. The thing about this is, it’s clear he is starting to become more patient at the plate. In 2018, Harper notched a career high in walks. The thing about Harper is many overlook him. There is also a lot of hate for his attitude. Baseball is a team sport. Nonetheless, there is a lot more individuality in this game than let’s say basketball or football. Baseball is the only game where you can literally, affect the outcome with one swing, one catch, or one throw. Some of his numbers have slipped in recent years but they’re slowly rising, and on a team like the Phillies, he may actually be a perfect fit. Being on the Nationals with players like Max Scherzer and Jayson Werth his whole career, Bryce was probably still seen as “the young kid”. Put him on the Phillies and he’s a clubhouse leader. The thing about his ego? You’re going to need one of those to play for those fans in Philadelphia. However, as soon as he slumps, he’s certainly going to hear about it. So if he is over or underrated? The opinion of this writer is, he is neither. Also, he is not better than Mike Trout. How do you feel about Bryce Harper? Leave a comment below. Miami Dolphins: First offseason moves.